I have 3 females and 2 male Pitbull/bully pups left for sale. Born 11-15-18, ready to go 1-15-19. dam is 22 inches tall and averages 90 pounds; pedigree including bully blue giants and oxxline(American bully). 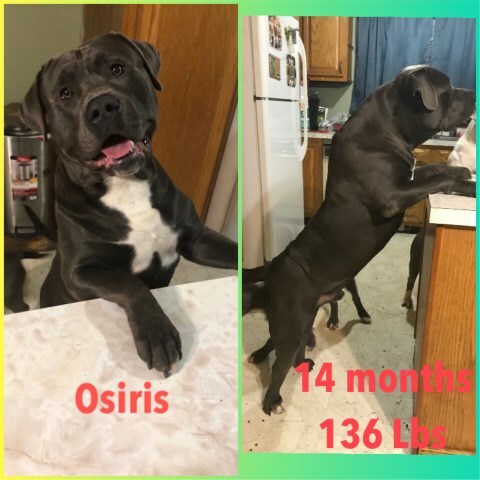 Sire is 23 inches tall and averages 120 pounds still growing; pedigree includes DDK9s and Blue Reaper Bullies (American Pitbull). All pups come with vet records, first shots, and deworming. UKC registration available, APBR paperwork otherwise. Male 3 (Jackson) $1300, male 4 (Cruz) $1600. female 6( Lily) $1000, female 7 (Cardi) $1600, female 8 (Remi) $1400. Now accepting deposits to hold pups. We offer payment plans, pet home options, accept PayPal , Apple Pay, cash, check, and money orders. Ground shipping can be arranged. Ear cropping upon request. PLEASE NOTE: IF YOU MESSAGE ME FROM THE CONTACT FEATURE HERE, I CANNOT MESSAGE YOU BACK FROM THIS SITE, MUST LEAVE VALID EMAIL OR NUMBER. Please feel free to text me for more info or inquires. Thank you.